This month's theme is Kisses From Boxycharm which is kind of a Valentine's Day theme which I love! This brush is really soft and dense. I use it as more of a pencil brush, to define my crease, in the "outer V" area of the eyelid, and to smoke out shadow on my upper and lower lash lines. This mask contains a mix of detoxifying clays as well as soothing herbs that will refine pores and gently exfoliate. You mix warm water with the powder, apply it to your face and then rinse it off after it dries. I tried this once and it's a decent clay mask. You need quite a bit of powder to create enough of a paste to cover your entire face. It does make my face look slightly brighter and it definitely feels very clean. How cute is this nail polish! These hearts will be fun to use as a top coat or on an accent nail. This is a cream to powder corrector that is supposed to cover redness, broken capillaries, and imperfections. Mistura claims that this corrector is for all skin tones, I'm not sure if I believe that. I did try this a few times as an under eye concealer and while it did a decent job at brightening, it creased like crazy. It did do a good job at covering up a small pimple I have. Swatch below. 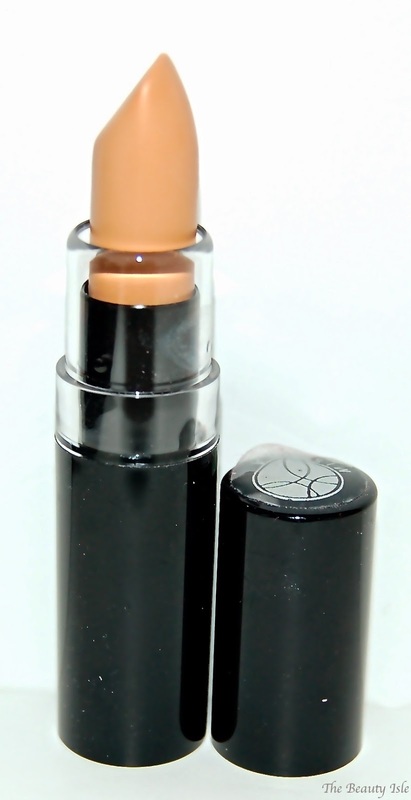 This chubby lip crayon contains jojoba and macademia seed oil as well as shea butter for a super creamy hydrating feel on my lips. And the color is gorgeous! Swatch below. The February Boxycharm box was a good box. I'm most excited about the gorgeous lip crayon, the pencil brush, and the adorable nail polish. Each Boxycharm Box costs $21, shipping is free, and you can cancel your subscription at any time. As you can see, I received 4 full size items and the deluxe face mask. The retail value of this box is $105! That's 5 times the cost of the box!